We are lingerie specialists for D Cup & Up and Mastectomy bras and breast forms. 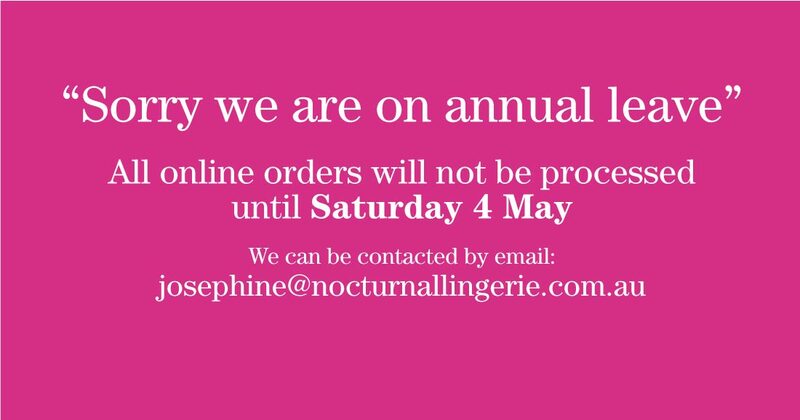 Nocturnal Lingerie offers a wide range of bras designed especially for women D cup & up. For over 15 years we have fitted women of all shapes and sizes and we now offer a Virtual Bra Fitting Service that enables you to be fitted via Skype or FaceTime in the privacy of your home. For more details see our Virtual Bra Fitting Service. Whether you have had a mastectomy, lumpectomy, breast reconstruction, reduction or augmentation you will now be able to be fitted for a bra and prosthesis in the comfort of your own home, retirement village, or nursing home with a mobile mastectomy service that comes to you. Or if you prefer to visit us in-house, you’re welcome to make an appointment. Mobile Mastectomy Service.